DAVID LE/Staff photo. 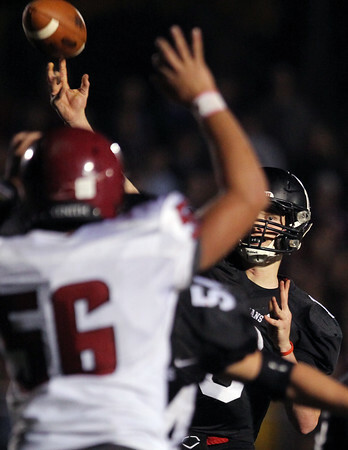 Marblehead senior quarterback Garret Keough (13) fires a pass to his left against Gloucester on Friday evening. 11/6/15.